Hartley Lodge B&B is based on the belief that our customers’ needs are of the utmost importance. Martin And Ruth are committed to meeting those needs. As a result, a high percentage of our business is from repeat customers and referrals. Hartley Lodge is a Quality Assured B&B, approved by Tourism Ireland. 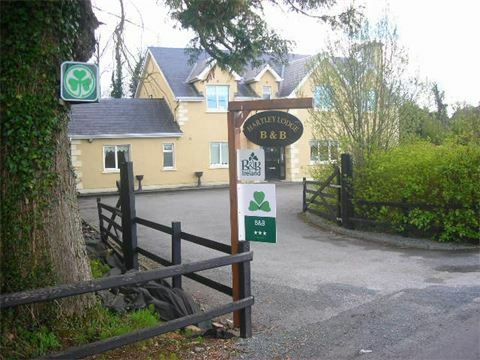 We are based in the beautiful, lively and award winning town of Carrick on Shannon, Co LeitrimHartley Lodge caters for all types of tourist and can offer Single, Double, Twin, Tri. This top-quality, 3-star bed and breakfast has spacious bedrooms that are fully en-suite, well heated and has all the facilities needed like power shower, telephone, coffee and tea tray, and TV. This country-style house is located in a peaceful and quiet location, but within easy walking distance from all the amenities of Carrick on Shannon.